Our First class guest teacher charismatic Diego will team up with me to for a Tango-Vals-Milonga booster weekend at our academy. As always we are carefully planning the content of our workshops to present you a variety of flavors, colors and layers of our Tango. Our guidelines are based on aesthetic and elegance dance with strong connection to the Music and musicality. 8:00-8:45pm SPECIAL DIEGO – MEN TECHNIQUE: Posture, tips to improve the control of balance, pivot and circular movements, footwork. RAQUEL – LADIES TECHNIQUE: leg projection, balance control, design the music with the free leg, spirality in circular moves. 8:45-9:45pm Technique in couple – establish a good connection, lead and follow of chest and back, how to manage the transition between close and open embrace during the dance. 1:30-3:00pm TANGO VALS – musicality focus and fun combinations suitable for the flow of the Vals. 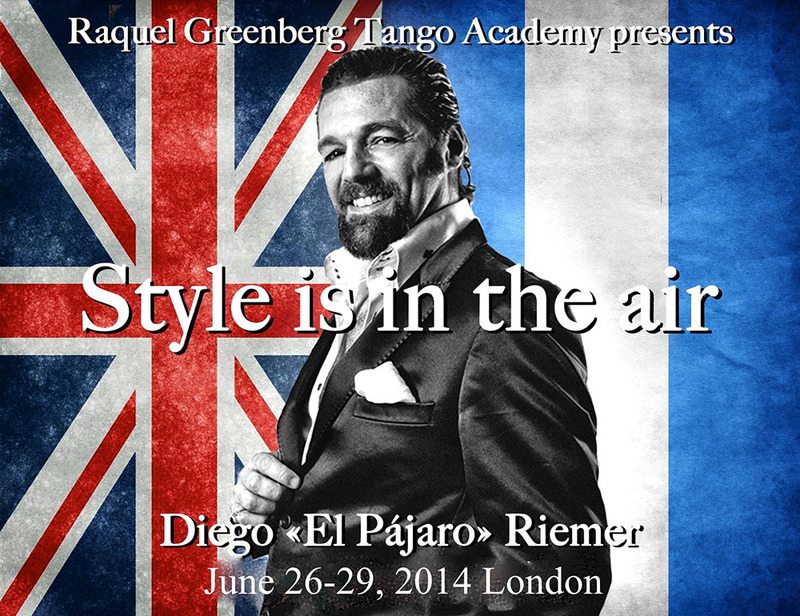 £15 for *RG Tango Academy students (*attending regular Tuesday/Wednesday/Thursday classes).